South Africa is toiling with the idea of banning single-use plastics. Straws, plastic cutlery and shopping bags have become such problematic waste items as they pollute the environment in large volumes. While certain countries around the world also experiment with bans on single-use plastic, many nations have no such concern with excessive plastic waste. A global blanket ban on single-use plastics may be the necessary solution. While these types of plastic have fuelled a commercial revolution based on their convenience and cheap production costs, they are also clogging landfills, water systems and causing harm to wildlife. Discarded single-use plastics can also leach toxic chemicals, such as styrene and benzene, into the ground. Environmentalists agree that land-based single-use plastic waste is a slow onset disaster that necessitates global action, such as a total international ban. Countries should agree to phase out single-use plastics for numerous benefits in return. At the moment, there are about 112 countries, states and cities around the world that have already banned single-use plastics and packaging. Of these entities, 25 are located in Africa. Most of these bans are placed on single-use shopping bags or non-biodegradable plastic packets. Some of the punishments for ignoring the bans include heavy fines and even jail sentences. Certain groups of nearby countries are enacting regional bans, such as the East African Legislative Assembly. Six countries in East Africa have worked together to introduce legislation that outlaws the manufacture, sale, import and use of plastic shopping bags. Similarly, the European Union banned numerous single-use plastics in all member states in October 2018. Despite the global efforts already in place, the United Nations suggests that of the 60 national bans they’ve studied, only 30% of the measures actually reduce the consumption of single-use plastics. Most of the bans are new and countries are still learning from them. Changes will be implemented in due course. Plastic manufacturers argue that the best way to minimise plastic waste is to improve recycling processes. Collection rates need to improve and new ways of recycling should be investigated. Single-use plastics can only be recycled 10 times before the plastic fibres become too short. Have global bans worked in the past? There are several instances of global bans that have been successful. The best instance was the 1987 Montreal Protocol on Substances that Deplete the Ozone Layer. This global ban successfully phased out the production and use of chlorofluorocarbons (CFCs) in refrigerators and sprays. CFCs were proved to have depleted a hole in the Earth’s ozone layer. The Montreal Protocol was successful for a couple of reasons. Firstly, every nation in the world joined the treaty. Alternative chemicals to CFCs were available so it made it easy for countries to substitute these harmful substances with better replacements. Secondly, the treaty provided real financial support for countries that struggled to phase out the use of CFCs. If a country was finding it difficult to move away from the production and use of CFCs, the treaty would provide institutional and financial support, rather than punishing the country. Scientists believe that this global ban has prevented millions of cases of skin cancer and cataracts since the depletion of the ozone layer was halted. Global bans can put pressure on non-participating countries to conform. By setting a standard, participating nations can encourage their neighbours to join the movement in order to maintain access to international markets and trade agreements. 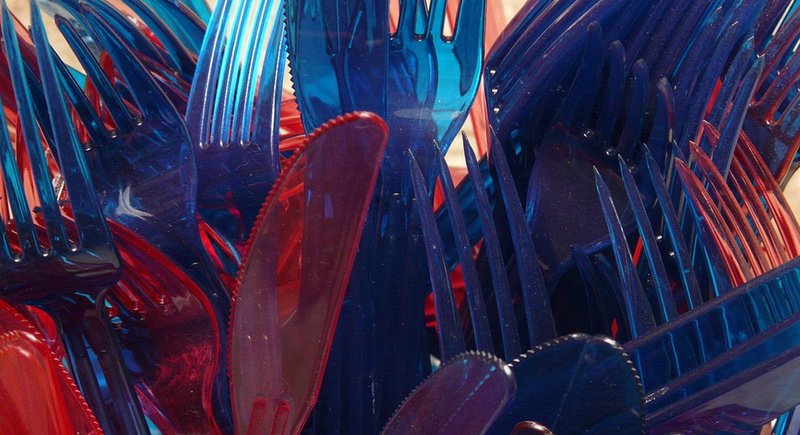 In order for a global ban on single-use plastic to be successful, it is necessary to have substitute products readily available. Biodegradable alternatives do exist but they are not as cheap to produce at the moment. In years to come, their cost of production will fall and they will become more readily available. If a global ban is enacted, it will require extensive monitoring and support for innovative solutions. There is enough support for a global ban on single-use plastics today, but these other factors need to be worked out before the ban can be written into law.